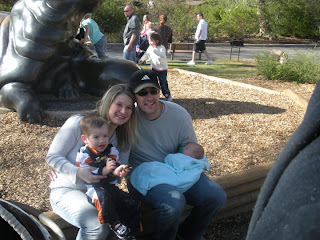 The West Family: Denver Zoo and 1 month old!! Denver Zoo and 1 month old!! Last week Jill and Doran decided to come and spend a few days with us in between semesters at school. We were so happy that they were able to come and see Blake and their newest Nephew Carter. 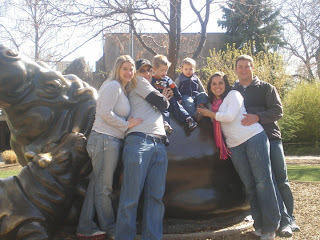 On Saturday we decided to head over to the Denver Zoo along with Joci, Tyson, and Blakes bestest little friend Levi. We had such a good time there and it was the perfect day to go. Blakes favorite animal was the goose that ran around on the sidewalks. He wanted to chase that thing around all day. What can ya do? 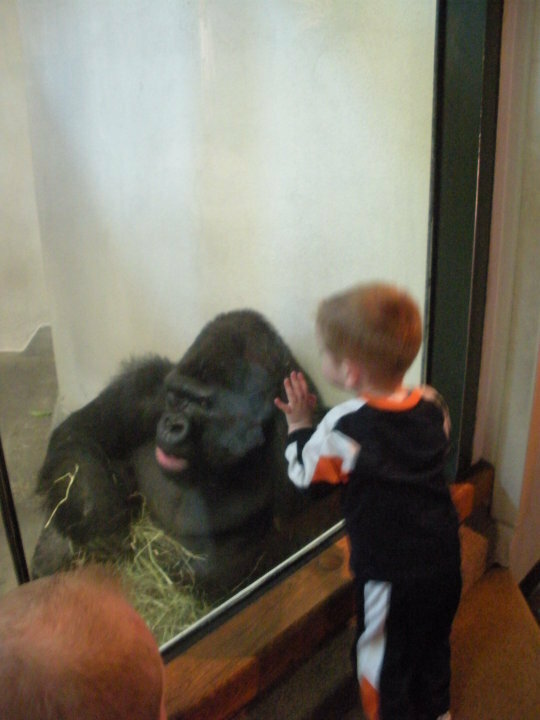 Oh well, he did like looking at the polar bear and the gorilla. We had a great day. On the 26th Carter turned 1 month old. I can't believe how fast this past month has gone. He is such a sweet baby and adds so much joy to our little family unit. I already can't imagine our lives without him. 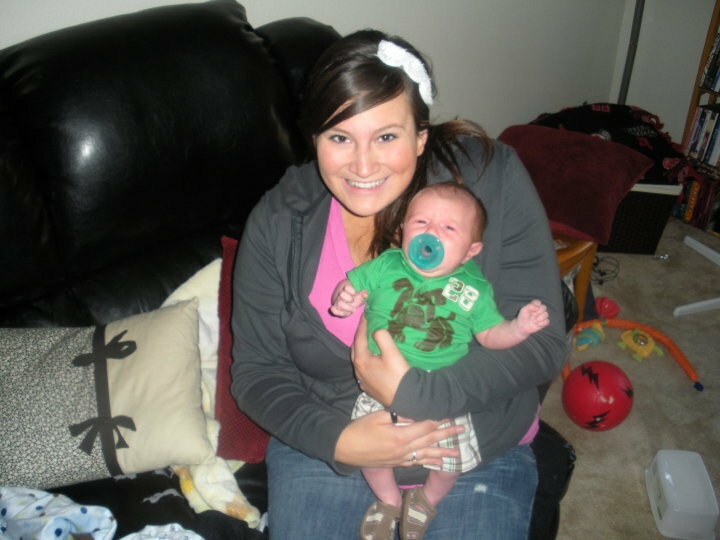 He is growing so big already and has the sweetest chubby face ever. Here are Jill and Doran with Carter on his one month birthday!! Here are a few more pictures of my little men. I love them so much!! Blake also found my camera one day and decided that he wanted to be a photographer. I found these on my camera. Oh how I love this boy!!! I am so excited for you to get here!